Are you looking for a high quality swimming nappy? A unique product that many swimming classes insist upon? It's hard to believe that Splash About adventure started over 25 years ago. Their aim back then, as it continues to be now, is to try and make children as safe, secure, confident & comfortable in and around the water as they possibly could. Reported the most essential item in your baby swim kit, we introduce you to the Happy Nappy! Me and Maxwell were sent a Happy Nappy recently and we were amazed at what a unique product it was. We received a Happy Napping in the Union Jack design, in a size XXL. The design a very fitting idea given that 2012 saw many big things happen to the UK including the Olympics. The Happy Nappy is made from stretchy neoprene and finished with soft bands of fabric that have a high rubber content to enable it to fit snugly around baby's bottom and thighs without leaving marks around your babies legs from it being too tight. The way the nappy has been designed is to make sure that all nasty contents that any parent would dread leaking when taking your child swimming is contained inside. The design is simple but very effective. The Happy Nappy comes in a wide range of colours and designs. There is something to suit every parent/child's taste. Happy Nappy have also brought some new designs out, one being our favourite, the Camouflage Khaki. 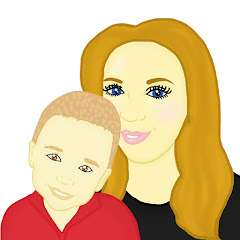 You are able to use the Happy Nappy on its own or as part of the well designed Happy Nappy System. 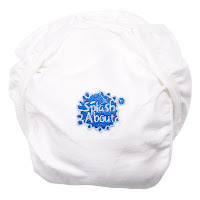 The system uses a NappyWrap (a soft, white cotton nappy wrap held in place with velcro) and a NappyWrap Liner (soft, biodegradable flushable liners). Its easy and simple to use. You are also able to use the Happy Nappy with a disposable swimming nappy which is my personal choice when taking Maxwell swimming. Overall I would rate the Happy Nappy a super 5/5. This product is great. It has many features that make it different from anything else on the market. I love the fact that Maxwell is free to move in the Happy Nappy and I think the fitting is very good. Another plus for me is it offers SPF 50+ sun protection, making this product ideal for any families in the summer or planning trips abroad.